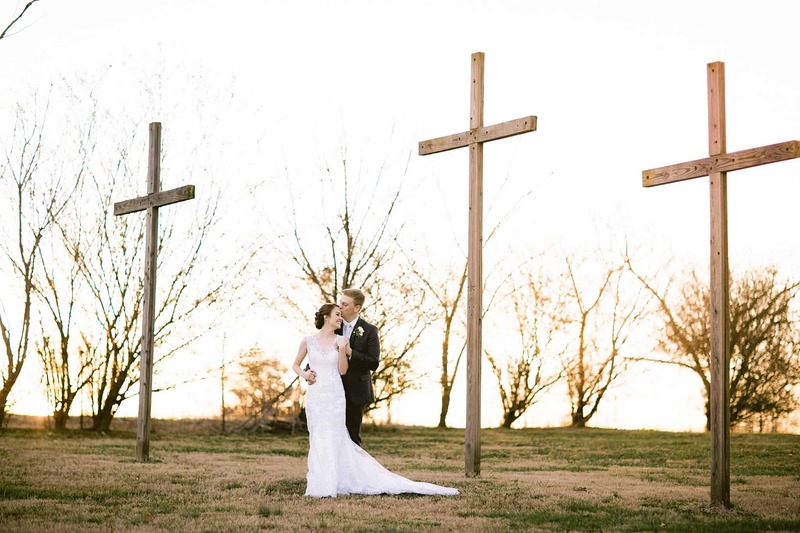 Randi and Jonathan are an adorable Cookeville power couple – Randi runs a successful Wedding Attire and Makeup business with her mother and serves hundreds of clients a year there in addition to having her own Wedding Planning business. Her husband Jonathan is a commercial airline pilot. Together they have remodeled a home in Cookeville and have adopted an adorable kitty since their marriage three years ago. So, when they mentioned needing new fresh photos of themselves as part of an annual tradition, we couldn’t wait to spend time with them (more than the 5 min we’d see each other at Lowe’s every month or so). “My husband and I have been married three years in June and have been together seven years this December. The best advice I remember on our wedding day was from our sweet guest, Ms. Becky. She encouraged us to take photos together every year to have for our Christmas card. Christmas is my favorite time of the year because that is the month we started dating. This is one of my favorite traditions and we have kept true to it. As I look at our photos we have had made this past year with Lindsay and Brandon, I could not help but smile. They captured all of the emotions I have for my husband, Jonathan, and then some. We are always smiling, laughing and cutting up with one another. I loved getting phone calls, text messages and letters letting me know how much the recipients loved our Christmas card photos. Remember, traditions never fade and neither do pictures, so cherish each other and hold on to the photos that you can look at as the years go by.